Yet another factor to consider in sage grouse preservation efforts . . . If increasingly destructive wildfires in the Great Basin can’t be stopped, the sage grouse population will be cut in half over the next three decades, scientists say. A report released Thursday by the U.S. Geological Survey comes just ahead of a court-ordered Sept. 30 deadline faced by the U.S. 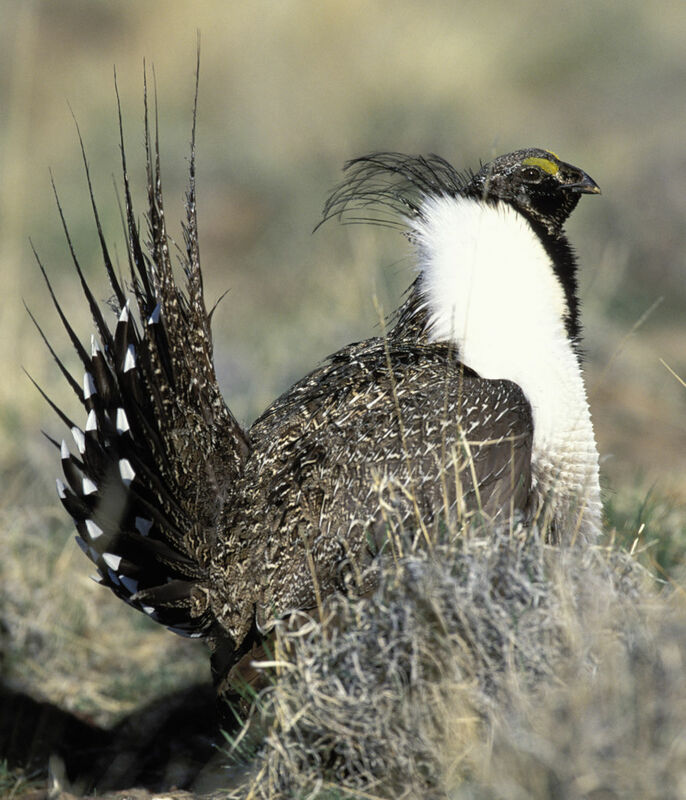 Fish and Wildlife Service to decide whether sage grouse need protection under the Endangered Species Act. Experts say such a listing could damage Western states’ economies. “The sagebrush steppe and sagebrush ecosystem are in trouble,” said Matt Brooks, a fire ecologist with the USGS and one of the report’s authors.